Small units to communicate over radio is not exactly new. We are well used to 2.4Ghz modules that cover both 100m and even 1km ranges. LoRa stand for Long Range and some of the units have very impressive parameters. This little fellow is 20x14mm and can communicate over 6,5km using 850-930Mhz. 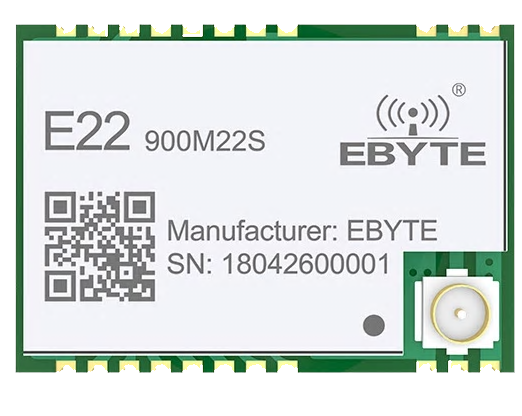 It’s brother E22-400M22S cover 410-493Mhz and it’s bigger brothers M30S cover 12km with 300Kbps data speed. The M22S uses ca 100mA transmitting while the more powerfully M30S uses 650mA for 12km. These are LoRa (Long Range RF Tranceivers) for the global LoRaWAN standard and cost ca 8.- USD. 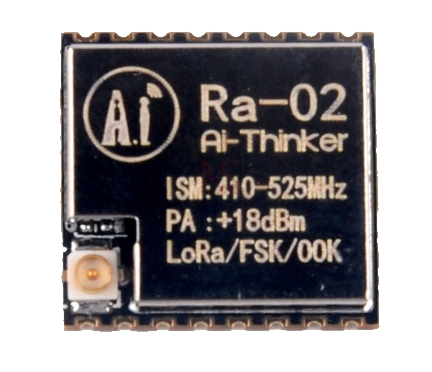 Ra02 is smaller, cover up to 10km and uses 433Mhz. This is also an older unit costing <4.-USD. Usageand interfacing to these are rather straight forward with UART or SPI, and the radio range versus cost and power usage makes the excellent for various sensors and low bandwidt data-links where distance is of importance. Do however check regulations in your country before using these because some countries have license regulations and restrictions on usage.